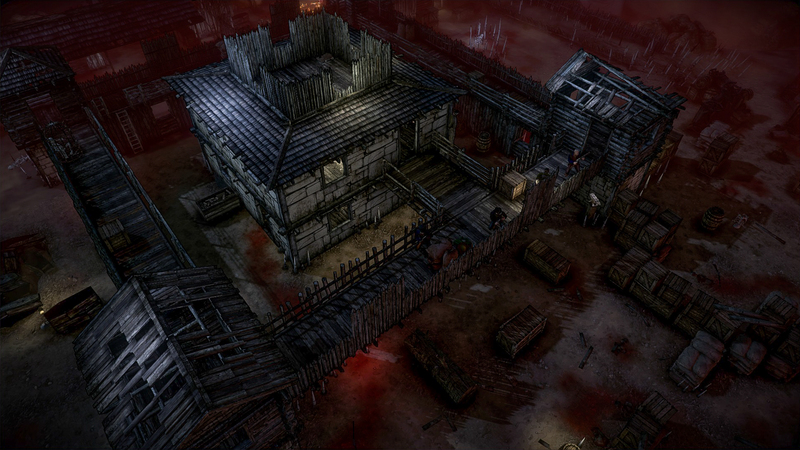 When I found the Creative Forge team at the Hard West booth, I took a moment to watch someone playing before introducing myself, so I had an idea of what to expect. I immediately recognized the XCOM-style tactical combat system. The person playing didn't seem to know the most important part of this combat style: take cover or die. He didn't last long. Once the station was clear, I jumped right on and dove in. If you haven't seen the million times i've mentioned it over the years, XCOM is my favorite game franchise ever, so their brutal, yet familiar tactical system didn't intimidate me at all. 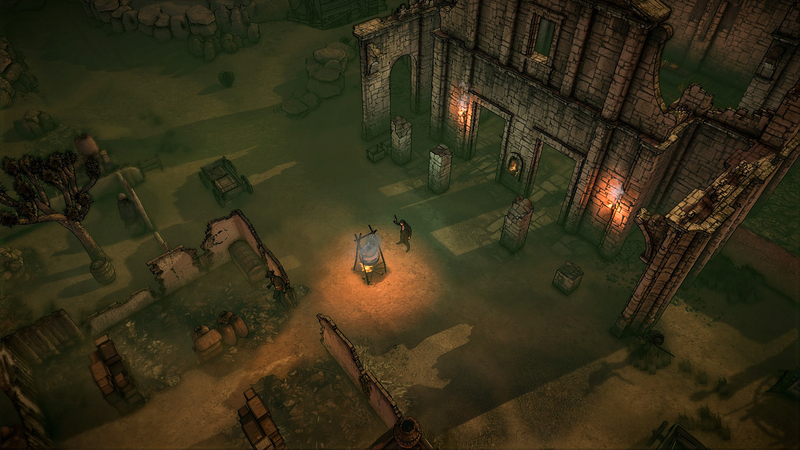 It's not just the combat, either, the entire Hard West idea pulls pages - entire chapters, even - from the XCOM playbook. 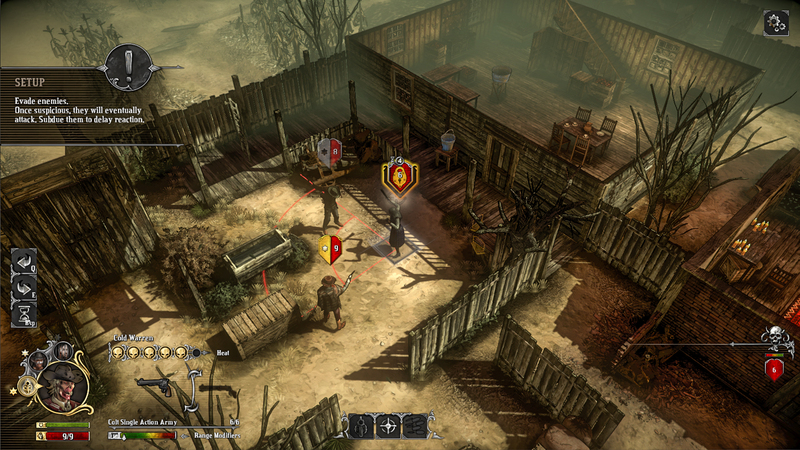 I'm always skeptical of XCOM clones, but having played a mission of Hard West, I was pleased to see that, despite the hyper-similarities, it was a distinct enough experience - both in setting and unique combat mechanics - that it's definitely something I'll be using to scratch the XCOM itch, now that XCOM 2 has been pushed back to 2016. 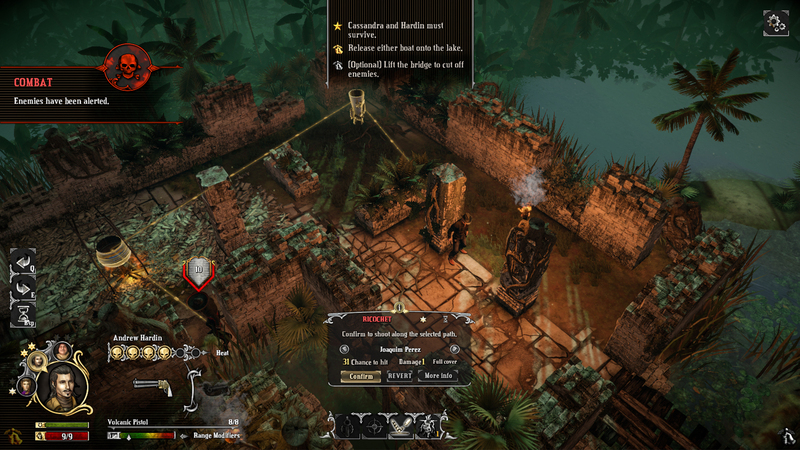 In addition to some novel ability options - like Ricochet, which allows you to bounce a bullet off certain objects, allowing you to effectively shoot through cover, given the right angle - there's a Luck mechanic that heavily influences the combat. You have a Luck pool, which fluctuates up and down over the course of the battle, based on what's happened. If you hit with a trick shot like Ricochet, you'll lose some Luck, which represents the reality that that kind of shooting needs a bit of help from fate. If an enemy shoots at you and misses, you'll lose a decent chunk of Luck as well, but you'll gain it back in abundance when you start taking hits. 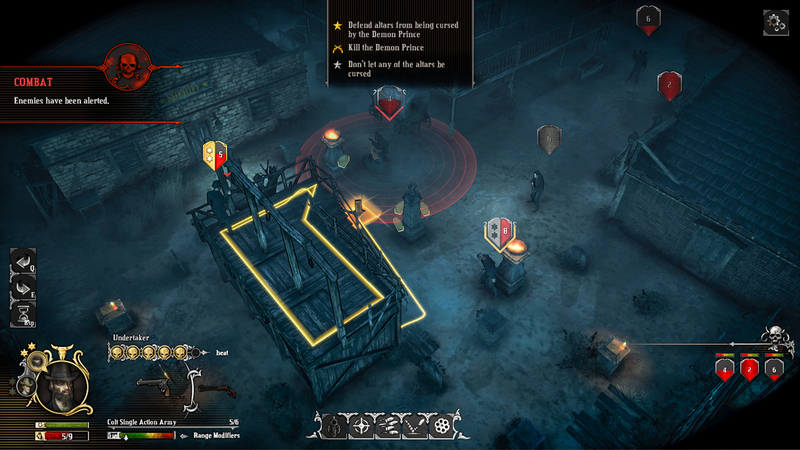 There's also a mechanic that keeps the long-range feel of the wild west intact, where each character has a reaction area, so if you try to charge an enemy, or even just step too close while running for cover, they'll get a free shot on you, with bonuses to boot. Once it was time to leave the appointment, my last action was to trigger this shot to see what happened. It hurt. I did notice at one point during the battle that a silhouetted figure appeared after one of my move actions. It turns out, enemies cast shadows, which you can spot, but since all you saw was a shadow, it lets you know there's a person there, but doesn't offer any other information. It strikes me as a mechanic that seems fairly innocuous, but may well play a huge part in the game. If you can stick to the shadows, and find your enemies by the shadows they cast, you can stay out of sight until you're ready to move in for the kill. Maybe. 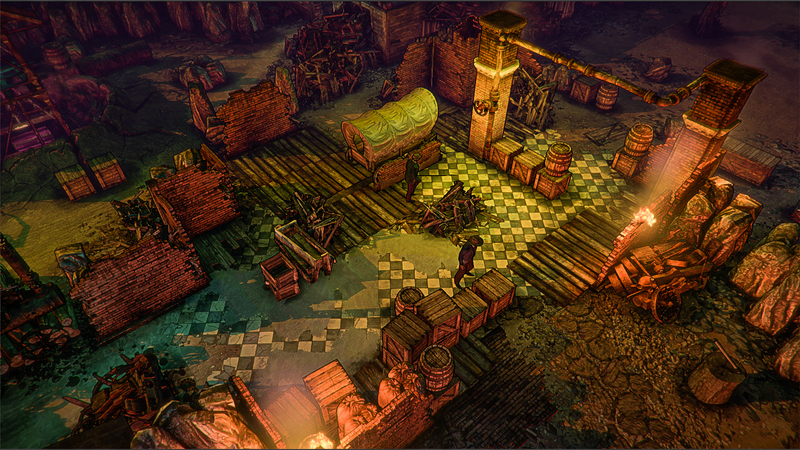 While it was described as having a heavy focus on the story, I didn't actually get a sense of that aspect in my demo. If it has as robust a decision/consequence system as they claim, though, it could put a fantastic narrative twist on the genre. 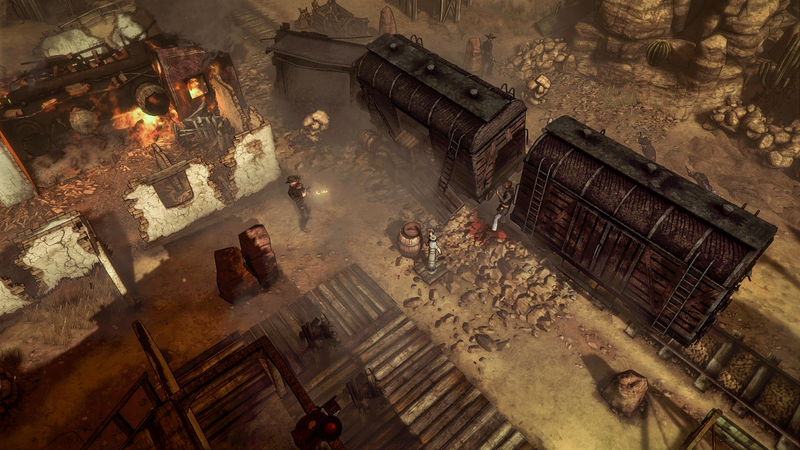 XCOM has tech decisions and terror decisions, but it doesn't have any kind of branching story paths, so I'm very interested to see how they work that in with Hard West. 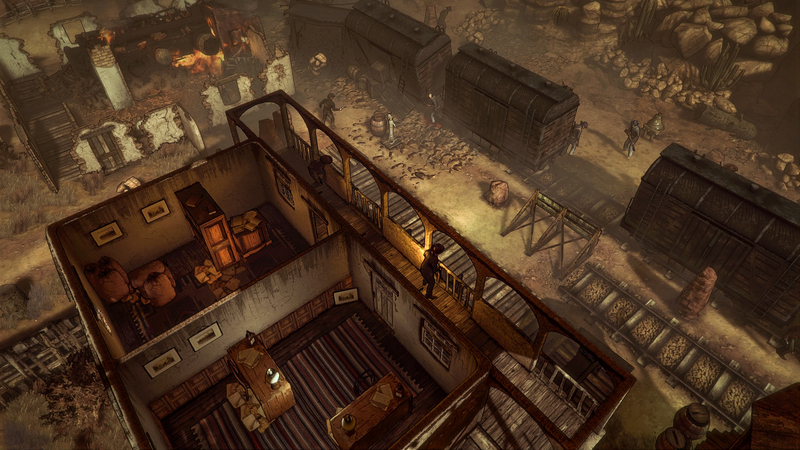 Hard West is scheduled to launch this fall on PC, Mac, and Linux via Steam, although there is no Early Access, or even pre-order option at the moment. If you're an XCOM fan with a penchant for westerns and/or ancient deities, though, it might deserve a place on your Wishlist.